This office building had an age-old problem in their work space - a high level of sun glare on their employees' computer screens. 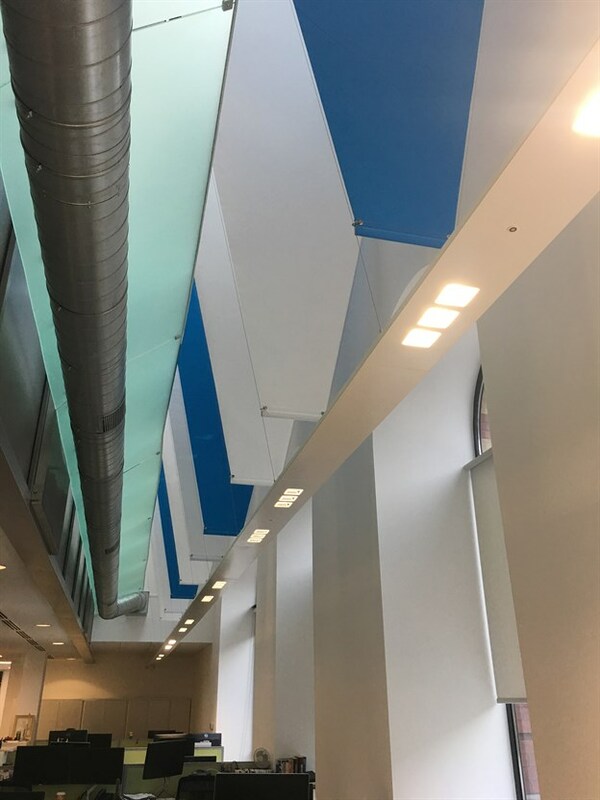 Mott MacDonald approached us with their situation that they had resolved with a design of ceiling sails to strategically shade the desks sitting in the sunny area. 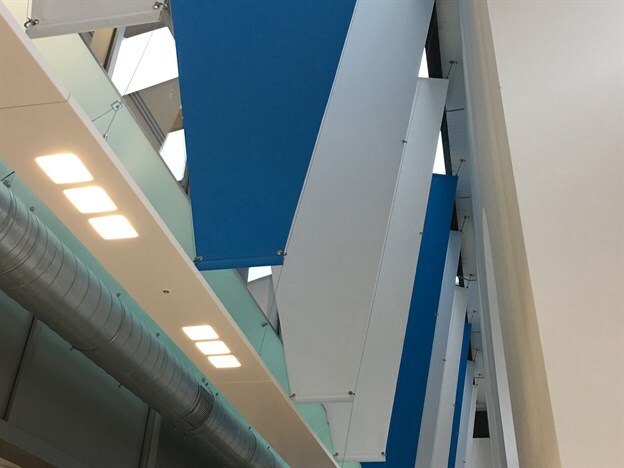 We used our expertise to help manufacture 14 fabric fins which we suspended on wires and mounted tight up against the ceiling. The fins not only reduce the glare, but they also let in natural light from the same rooflight source and create an interesting and attractive feature in the building. 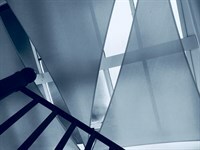 View our other interior sunshading projects which have helped numerous work places with the same problem.